Palo Alto World Music Day is an annual music festival that takes place on Father’s Day in Palo Alto on University Avenue, between Webster and High, which will be closed to traffic. 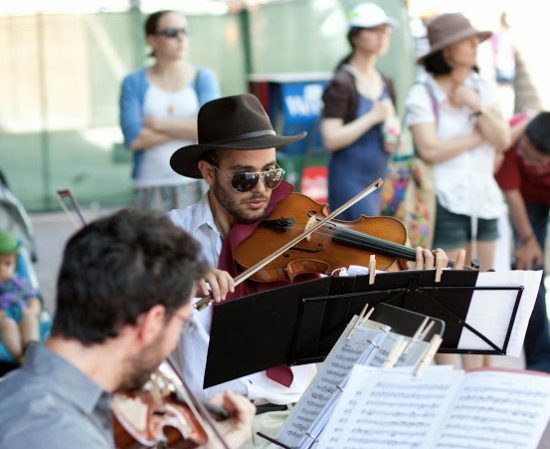 The festival features 50+ professional and amateur musical groups performing a variety of genres on street corners and in plazas including jazz, pop, rock, classical, world music, choral, folkloric dances and more. World Music Day, also known as Fête de la Musique, is a world wide music festival that takes place around the summer solstice. Sidewalks, parks, community gardens, stores and more become impromptu musical stages for both amateur and professional musicians to showcase their talents.